Retsch has announced that it will now offer the RS 300 XL vibratory disk mill for sample volumes of up to 2000 ml. This new model allows for simultaneous processing of up to 4 samples. Thanks to the robust universal drive shaft, which sets the grinding jar into a 3-D motion, it accepts grinding sets weighing up to 30 kg. The RS 300 XL very effectively grinds hard, brittle and fibrous samples like cement, coal, minerals or electronic components by impact and friction. 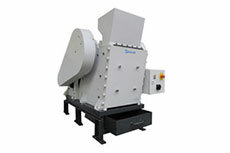 Grind sizes below 50 microns are typically obtained in a matter of seconds. For safe operation the grinding set is firmly attached to the vibration plate with a pneumatic clamping device. 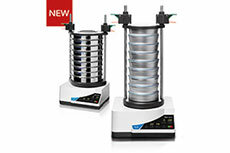 A selection of grinding jar materials and sizes makes this mill versatile and suitable for grinding a variety of sample materials without affecting analysis results. Due to the high final fineness and speed both RETSCH Vibratory Disc Mills are the perfect choice when it comes to preparing samples for spectral analysis. RETSCH GmbH has expanded its product range with a complete line of instruments for applications with large feed sizes and high throughput rates. 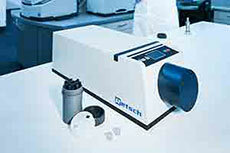 Retsch have enhanced their comprehensive range of mills and grinders with the XRD-Mill McCrone. 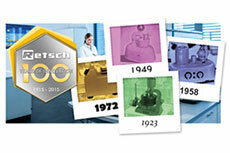 RETSCH is celebrating its 100th anniversary this year by starting a campaign to find the oldest instrument in the market.